Return to a time of casual elegance. 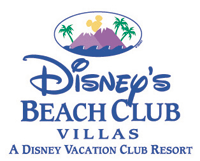 Inspired by the grand and gracious seaside homes of the early 20th century, Disney's Beach Club Villas will transport you to a world of idle days and balmy nights. There's a light, comfortable ambiance characterized by pastel colors, wooden porches and decorative trim. Guests will enjoy all the modern day amenities of Disney's Yacht Club and Disney's Beach Club Resorts right next door. 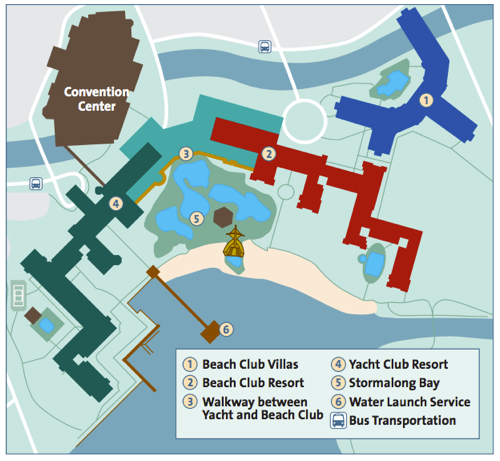 Disney's Beach Club Villas are conveniently connected by water taxi, bus or walking paths to numerous Disney restaurants within the Epcot® Resort area. At Sandcastle Club, located at Disney's Yacht & Beach Club Resort, kids can go on a journey into the imagination with activities designed to entertain, educate and enchant - including visits from some favorite Disney friends!